Pic2Tile is an online tool that converts images into pixel art. 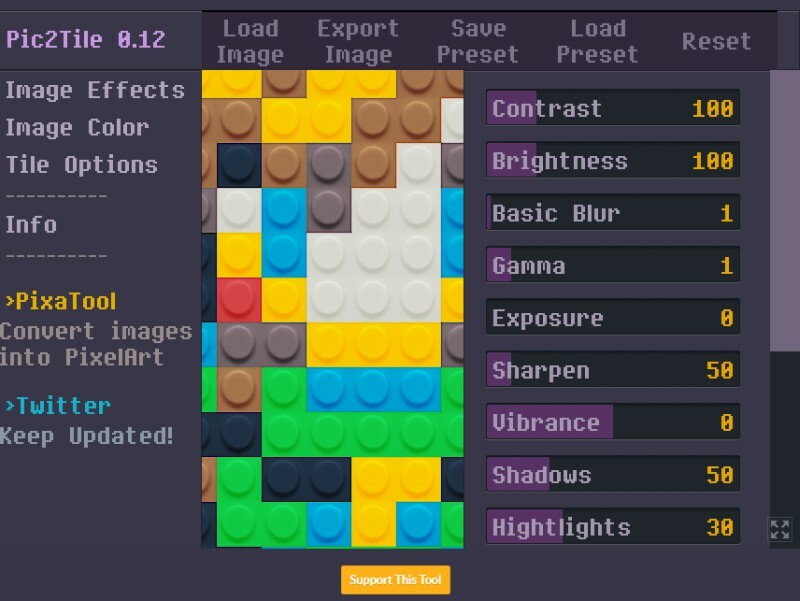 Your canvas is made up of 16×16 tiles and the UI is very easy to understand and use. You can select from three tile designs – Lego, Hama beads, or Emanems. The tool also has a wide selection of customization options for image effects like contrast, brightness, blur, and vibrancy. For the image color, you can customize the hue, saturation, lightness, and tint. Start creating your own pixel art here.